“Michele Lackovic recently called and spoke to me, regarding her daughter Anna’s upcoming tenth birthday. 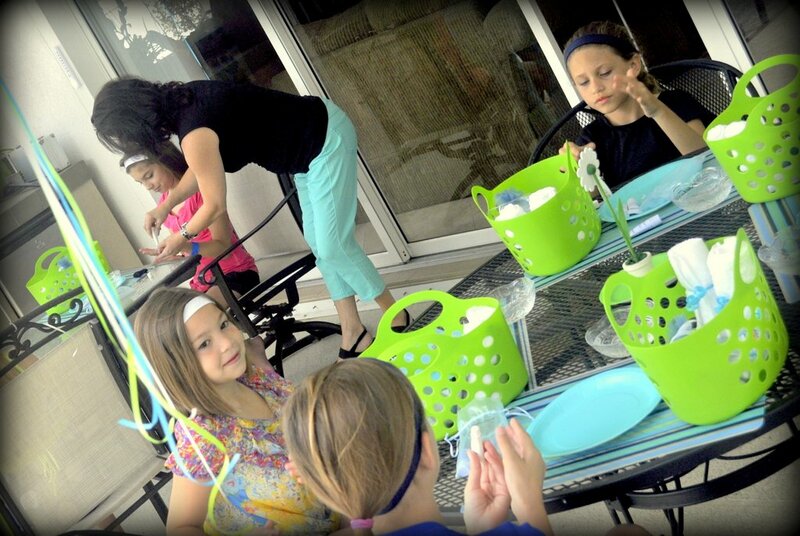 She wanted to create an at home spa party and hoped I could facilitate her event. “Absolutely,” I replied. Then the fun began! First, we organized outside by her pool with the young ladies seated around the table. I explained the proper skin care techniques and used the Spa at PGA National’s skincare line: Phytomer. Specifically, Phytomer’s Gentle Cleansing Milk, Rose Visage Toner, Vegetal Exfoliate, and Hydracontinue moisturizing crème. Then, Michele and I created an exciting hands-on craft session. Michele ordered Old Navy flip-flops online and selected ribbon from a craft store to tie bows. As their take home gifts, she gave away Lavender Epsom Salts and mini mason jars for bath salts! Not to mention, while the girls were in their craft session, each received toe polish changes. And of course, delicious birthday cupcakes and crustless finger sandwiches were served with spa smoothies as we completed our event. Each young lady took home a beach bag filled with spa sandals, bath salts, wash cloths and the PGA National Resort and Spa home care kit. “It was my favorite birthday ever,” Anna said. Contact The Spa at PGA National Resort (561-627-3111) and to create your next home spa party.